The problem is that only two of the teams are actually still in contention. 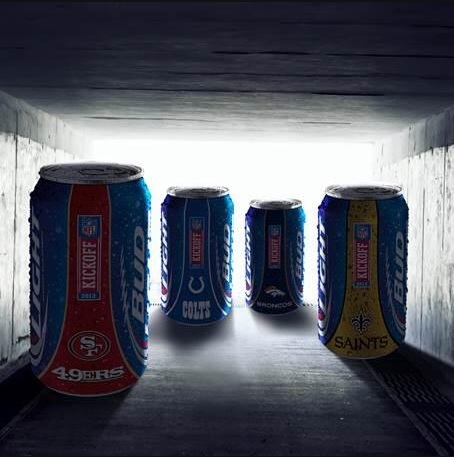 The Bud Light folks got the Denver Broncos and San Francisco 49ers correct, but both the Indianapolis Colts and New Orleans Saints were eliminated this past weekend. Now, I can see where this can happen. The folks at Bud Light probably had multiple of these pictures made up with all possible results and the intern that runs the Twitter account selected the wrong picture. It happens. It just doesn’t usually include getting 50 percent of your message completely wrong. Congratulations, New Orleans and Indianapolis. You’re on a beer can. Peyton Manning won and he’s going to drink you down now.